The executive summary of the environmental impact report is here. The nearly 1,200-page report is published in two sections; volume one is here, and volume two is here. State toxics regulators Wednesday released their draft plan for removing lead from the soil of roughly 2,500 properties around the former Exide Technologies battery recycling plant in Vernon. The cleanup plan, along with a draft environmental impact report, envisions the work getting underway in the summer of 2017. The Department of Toxic Substances Control has scheduled a series of community meetings to solicit public comment on the plans. The draft plan envisions cleaning an average of 50 properties a week. It calls putting the highest priority on properties with the highest levels of lead and the greatest risk of exposure to people, especially children and pregnant women. Crews would remove lead from the soil at homes, schools, parks and daycare and childcare centers. The draft environmental impact report calls for a variety of measures to protect public health, including the use of low-emission trucks and construction equipment, continuous air monitoring and dust suppression, among other steps. Jan. 11, 2017 at Our Lady of Victory Church, 1316 S. Herbert Ave., Los Angeles — 6-9 p.m.
Jan. 19, 2017 at Maywood City Council Chambers, 4319 East Slauson Ave., Maywood Â Â Â 6-9 p.m. In addition, the city councils of Vernon, Bell, Maywood and Huntington Park plan informational sessions at council meetings in January where Toxic Substances Control will accept comments, according to Ana Mascarenas, assistant director for environmental justice at Toxic Substances Control. The toxics agency is following the requirements of the California Environmental Quality Act, as stipulated in emergency legislation Gov. Jerry Brown signed in April approving an infusion of $176.6 million to test for and remove lead from properties in a 1.7-mile radius around the former plant. Besides covering the cost of cleaning up to 2,500 properties with the highest lead levels, the money will pay to test the soil at up to 10,000 properties in the area, according to Toxic Substances Control. The state has sampled soil on more than 5,000 properties so far, said Mascarenas. The legislation providing the money – which is a loan from the general fund – requires the state to seek reimbursement from Exide for the cost of the cleanup. Brown and the toxics agency are “committed to holding Exide and other responsible parties accountable” for the pollution, said Toxic Substances Control Director Barbara Lee. Lead is a neurotoxin and is especially dangerous for children. It has been linked to damaged nervous systems, slow growth and development, learning and behavior problems and hearing and speech impairments. There is no safe level of lead for children. 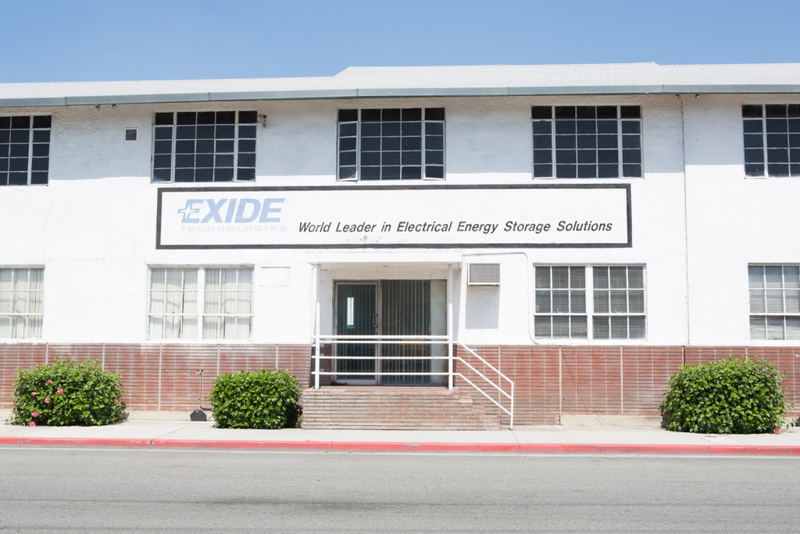 Exide Technologies operated for three decades on a temporary permit with little oversight. It smelted batteries until last year, when it agreed to shut down to avoid federal criminal charges. Originally the state required soil testing and cleanup only in neighborhoods adjacent to the plant. It expanded the area to the 1.7-mile radius in August 2015. Once the $176.6 million in emergency funding has been exhausted, experts say Toxic Substances Control is going to need more money to clean up the rest of the homes that need it – perhaps more than $200 million in additional funds. There are Comments Off on EXIDE VERNON: Regulators want to clean about 50 lead-tainted homes a week in Vernon.